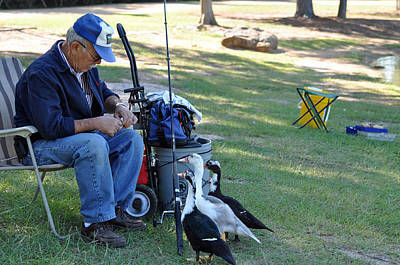 The Beggars is a photograph by Teresa Blanton which was uploaded on October 7th, 2010. 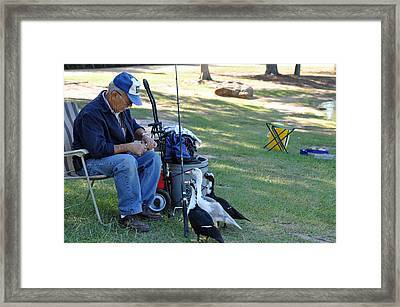 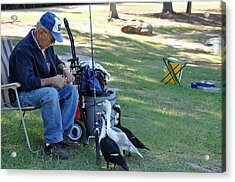 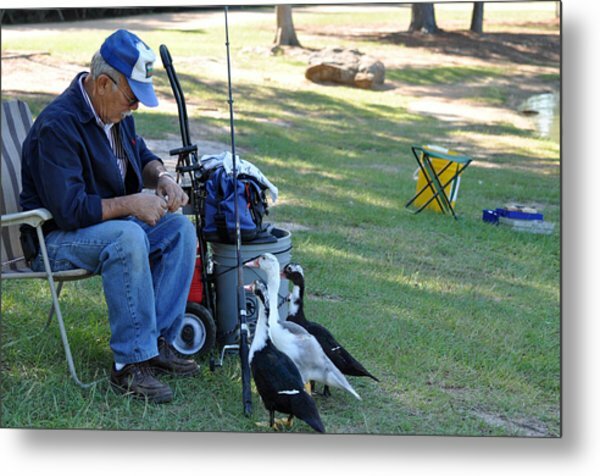 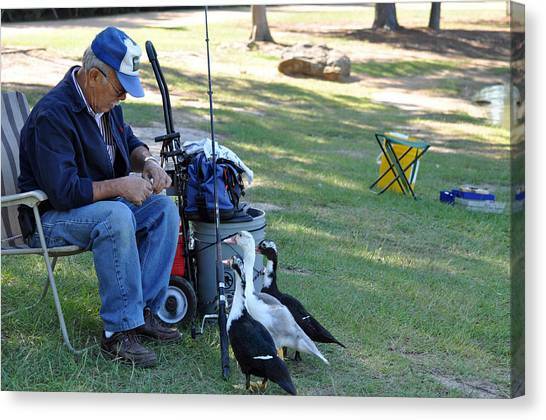 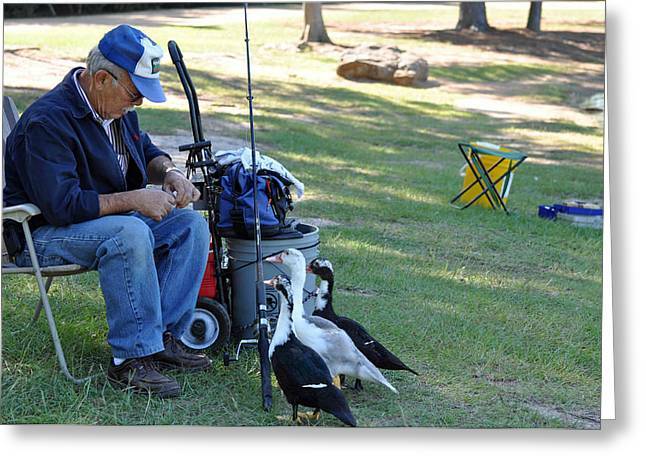 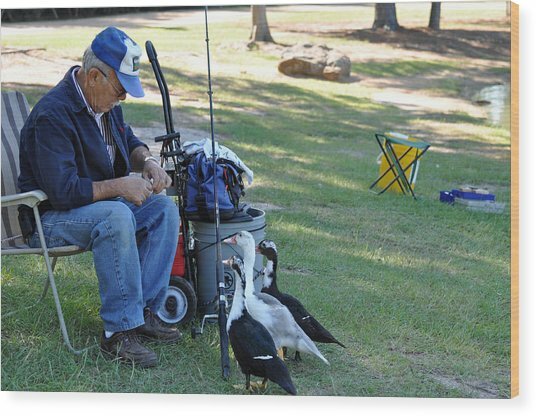 I came across this old gentleman fishing and these ducks following him everywhere and then he sat down and they just lined up like my dogs do after a treat. 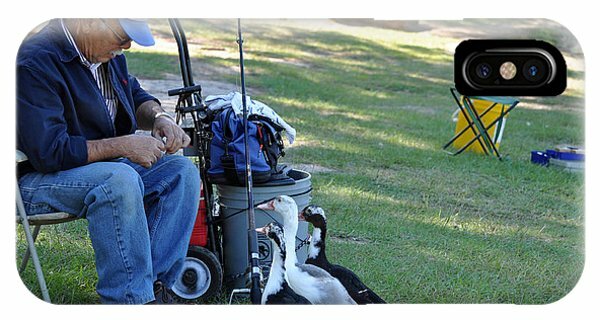 I thought it was humorous.